Lois Mae Haislet, 86, of Dubuque, Iowa died July 24, 2018. A Mass of Christian Burial will be held at 10:30 a.m. on Tuesday, July 31, 2018 at the Church of the Resurrection. Family and Friends may gather from 3:00 p.m. to 7:00 p.m. on Monday, July 30, 2018 at Leonard Funeral Home and Crematory, 2595 Rockdale Rd. Dubuque where a parish wake service will be held at 3:00 p.m.
Lois was born in Dubuque, Iowa, daughter of John and Loretta (Holmes) Delaney on September 28th, 1931. She married Robert E. Haislet on June 28th, 1952 at Nativity Church in Dubuque. She was longtime member of The Church of the Resurrection, joining in 1961. Lois was a devoted wife, mother, grandmother, and aunt who loved her family above all else. She married her high school sweetheart Bob Haislet just before he left to serve in the Korean War. While she waited for his return she enjoyed the camaraderie of working as a telephone switchboard operator. Lois was a homemaker during the years her children were young and growing. She then began working at Econo Foods as a food demonstrator, moving on to do the same at Hy Vee on Locust St. for over 30 years. She loved this job and it kept her young as it gave her the ability to interact with the many people she knew in Dubuque. Her family lovingly called her the Queen of Hy Vee. She loved to spend time decorating her home which was evidenced by the beautiful flowers and plants that were always meticulously placed around her home. Lois was an avid Chicago Cubs fan, loved Frank Sinatra, Tony Bennett and the all crooners of that time. She loved and embraced life to its fullest, never giving in to the advances of the aging process. She was truly the youngest at heart person we ever knew. We will miss her greatly but take solace that she is now again with her beloved husband Bob and all her other relatives and friends that preceded her. She is survived by her children: Timothy Haislet (Lisa), Bobby Haislet, Nancy Haislet, Grandchildren: Timothy (TJ) Haislet, Lexie Johansen (Luke), Shawna Haislet, Cassandra Koehler, Anna Koehler, and many nieces and nephews. She was preceded in death by her husband Robert E Haislet, Mother: Loretta Delaney (Holmes), Father: John Delaney, Brothers: Milton Delaney and Midge Delaney and other nieces, nephews, cousins. 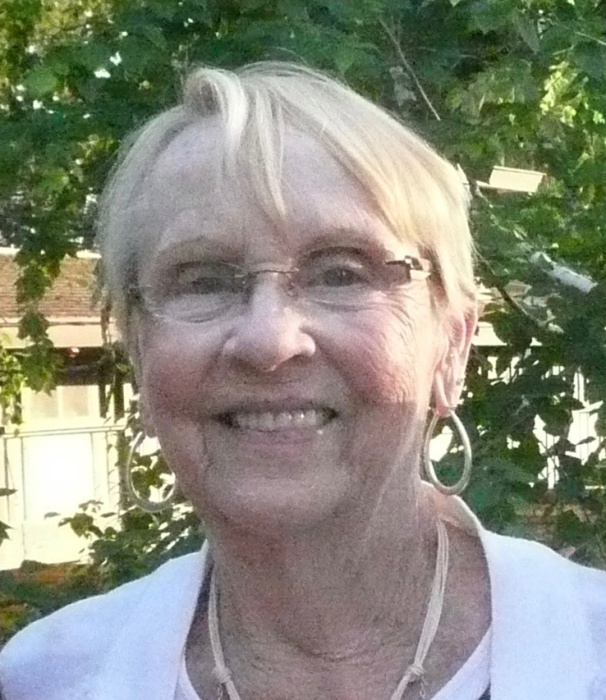 A Lois Haislet Memorial Fund has been established. The family would like to thank all the caregivers at Stonehill, Dr. Bond, the nurses and techs on the 5th floor of Finley Hospital, and clergy that cared for her during her final hours. The family will be forever grateful to the tenderness, kindness and professionalism they exhibited during this most difficult time. We would also like to thank Church of the Resurrection for their support and assistance and Leonard Funeral Home and Crematory.